Motorola Moto 360 will have a metallic body, IP67 certification for protection from water and dust, as well as up to four days of autonomy on a single charge. The first Motorola smartwatch has been in the rumor mill for quite a while, but now it looks like its official unveiling is near. 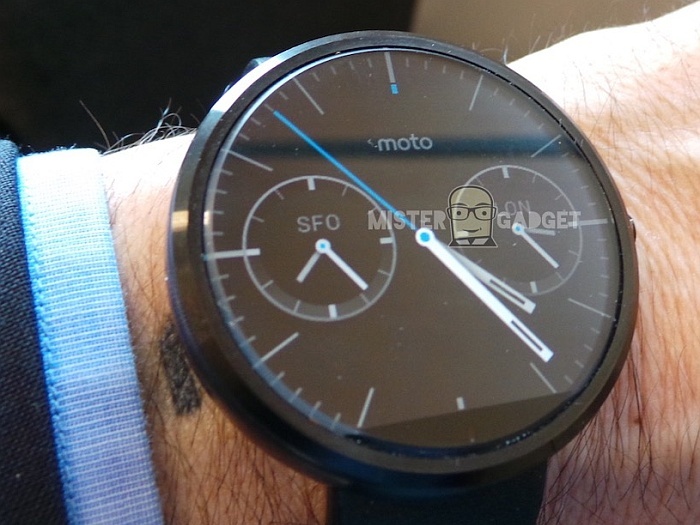 Motorola Moto 360 has been spotted on Luca Viscardi's website in a series of photos, together with a few first impressions after his own hands-on experience with the smartwatch. The upcoming Motorola smartwatch will feature a wireless charging dock and, unfortunately, is not compatible with some apps that were designed for such devices that use a rectangular display and not a round one. It may be unveiled next month but there is no more information about its availability or pricing. We will get back to it as soon as more information shows up.